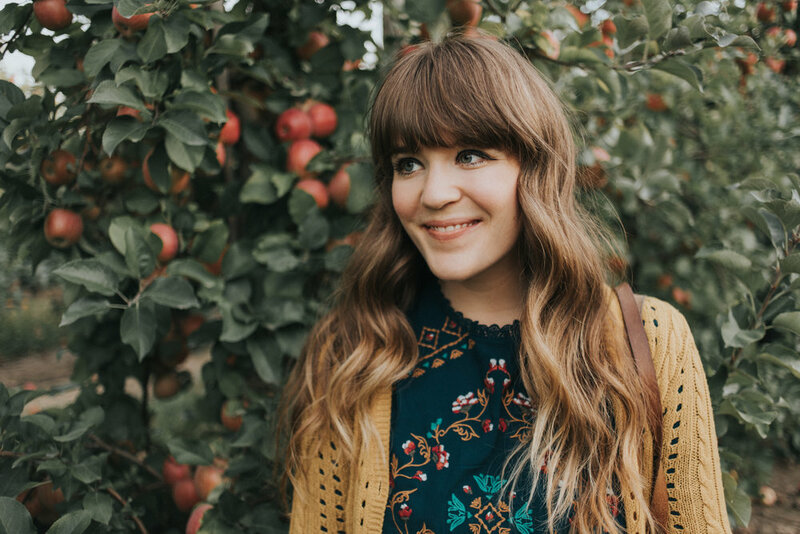 Is there anything better than an apple orchard and warm cider doughnuts in autumn? This is always one of my favorite activities this time of year. We finally got to Robinette's Apple Haus for our annual trip! It's been so busy there, so we decided to go on a Friday night right before they were closing... and we still had to wait in a long line! So nuts! 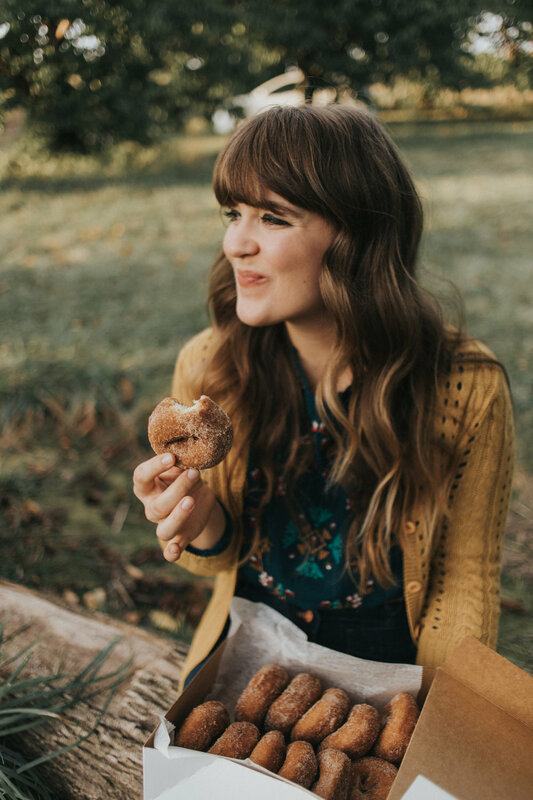 But we got our warm doughnuts, hot cider, and were able to spend time roaming the apple orchards during golden hour. I just love this time of year... it's so special. I can't believe October is already almost over. It all happens too quickly! Robinette's is such a great place to go, if you're local to the area! It was established in 1911, so it's been around for over 100 years. They have everything from a bakery, lunch counter, cider bar, home-grown fresh fruits in the season, and a variety of other treats in their little gift shop area! They also have an amazing winery, where you can purchase bottles of wine or hard cider or do a little tasting. Both the wine and cider are made on site. I really love their peach wine! They also have u-pick apple orchards, a beautiful outdoor trail, a corn maze, and hayrides. It really has everything for a fun autumn day! I threw this outfit together pretty quickly, but I like how it turned out! The weather has been unseasonably warm this month, so I was able to bust out the bare legs. It might be one of the last times though! We've gotten some cooler temperatures since. I just recently picked up this embroidered peplum top from Target. I don't own anything else with this "teal" color, so it's something new for my wardrobe! This denim skirt from Madewell has definitely been a favorite item this season, and I'll be styling this with tights and sweaters all winter long! Well I hope you guys have a great end to your week, and have fun plans for the weekend! I'm also hoping to head to the pumpkin patch, and check out a spooky spot here in Michigan. We already bought all of our candy for trick-or-treaters, so that'll be fun, and I have yet to watch my annual Halloween movies (Hocus Pocus and The Haunted Mansion), so lots to do this weekend! Plus, you know, adult things... cleaning, laundry, eh. Who needs to do any of that? Hahaha.